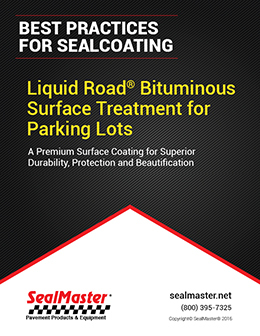 Liquid Road is a proven coating system for asphalt parking lots, streets and other pavement surfaces. Liquid Road is the “next generation” alternative to outdated surface treatments such as slurry and chip sealing. Download this FREE white paper to learn about this exciting, new and proven technology for pavement preservation.